For every copy of Betwixt sold, Melissa Pearl is going to donate $1 towards charity - Love146. 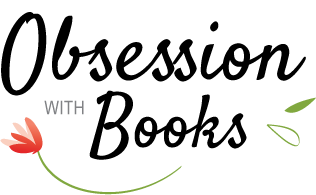 The more copies sold the more money that can be passed onto this wonderful organization. Desperate, Nicole has no choice but to haunt Dale and convince the freaked-out senior to help her. Will he find her body before it's too late? Or will the guy who tried to kill her with his car, beat him there and finish her off before anyone finds out? Betwixt by Melissa Pearl was kindly provided to me by the author in exchange for my honest review. 16 year-old Nicole Tepper seems to be on a downward spiral, partying too much, drinking and mixing with the wrong crowd until one fateful night she is hit by a car and left for dead. Upon waking the next morning she realizes she is lurking between life and death, her body is where it remains in a forest and her spirit able to wander but the only person able to hear her is Dale Finnigan, a boy who Nicole publicly humiliated for her own popularity purposes. Nicole was a difficult character to like initially, she was self-absorbed, insensitive and unfeeling; she treated herself and those around her with no respect at all and her sharp-tongue was plain nasty. Ms. Pearl wrote her in such a way that you actually feel sorry rather than remain disengaged from her which I thought was well done. Her families loss was the reason behind her behavior but her new lifestyle was causing her self-destruction, I think her having Dale help her was the best thing for her, he was good to her and didn’t put up with her rubbish. I think Dale and his wonderful personality actually made this book for me, he was an absolute sweetheart with a secret past of his own, he went through his own personal nightmare but came through it with a better outlook on life and really changed his ways; which as the story progressed seemed to rub off on Nicole. I really enjoyed Ms Pearl’s writing and the engrossing story she has written, the plot was not only about Dale and Nicole trying to locate where her body was but also whether there was someone who had deliberately hit her, left her for dead and was out to finish the job; the mystery surrounding what had happened was really entertaining and kept me riveted. What had me stumped though was the lack of punishment given to the person who had committed the crime, I was mortified and wanted more; it was too easy a resolution for them. I enjoyed each of the characters interactions, and with Nicole being invisible she was able to find out what her friends (who were extremely superficial) and others really thought of her which would have devastated anyone; it also bought home how her actions & her families loss were affecting their lives together; I appreciated this aspect and the fact they realized things needed to change. All in all, I really enjoyed Betwixt and the wonderful story Ms Pearl has written. I will definitely read more books written by this author. 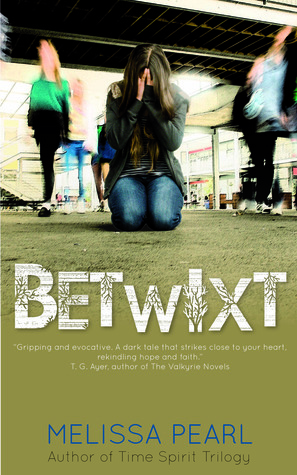 Thank-you to Melissa Pearl for providing me with a copy of Betwixt. This book sounds really good! At first I thought it was a contemporary but I think stories that have characters being able to look at life after their death is really interesting (If I Stay). I love that Nicole was able to progress and grow as a character throughout the novel and that Dale was able to help! Lovely review, Sharon! This is new to me, but it sounds interesting and I like the concept of Betwixt. The characters sound interesting. So glad you enjoyed this one and loved your review!